2 And Moses summoned all Israel and said to them: “You have seen all that the Lord did before your eyes in the land of Egypt, to Pharaoh and to all his servants and to all his land, 3 the great trials that your eyes saw, the signs, and those great wonders. 4 But to this day the Lord has not given you a heart to understand or eyes to see or ears to hear. 5 I have led you forty years in the wilderness. Your clothes have not worn out on you, and your sandals have not worn off your feet. 6 You have not eaten bread, and you have not drunk wine or strong drink, that you may know that I am the Lord your God. 7 And when you came to this place, Sihon the king of Heshbon and Og the king of Bashan came out against us to battle, but we defeated them. 8 We took their land and gave it for an inheritance to the Reubenites, the Gadites, and the half-tribe of the Manassites. 9 Therefore keep the words of this covenant and do them, that you may prosper in all that you do. 10 “You are standing today all of you before the Lord your God: the heads of your tribes, your elders, and your officers, all the men of Israel, 11 your little ones, your wives, and the sojourner who is in your camp, from the one who chops your wood to the one who draws your water, 12 so that you may enter into the sworn covenant of the Lord your God, which the Lord your God is making with you today, 13 that he may establish you today as his people, and that he may be your God, as he promised you, and as he swore to your fathers, to Abraham, to Isaac, and to Jacob. 14 It is not with you alone that I am making this sworn covenant, 15 but with whoever is standing here with us today before the Lord our God, and with whoever is not here with us today. 1These are the words of the covenant, which the LORD commanded Moses to make with the children of Israel in the land of Moab, beside the covenant which he made with them in Horeb.2And Moses called unto all Israel, and said unto them, Ye have seen all that the LORD did before your eyes in the land of Egypt unto Pharaoh, and unto all his servants, and unto all his land;3The great temptations which thine eyes have seen, the signs, and those great miracles:4Yet the LORD hath not given you an heart to perceive, and eyes to see, and ears to hear, unto this day.5And I have led you forty years in the wilderness: your clothes are not waxen old upon you, and thy shoe is not waxen old upon thy foot.6Ye have not eaten bread, neither have ye drunk wine or strong drink: that ye might know that I am the LORD your God.7And when ye came unto this place, Sihon the king of Heshbon, and Og the king of Bashan, came out against us unto battle, and we smote them:8And we took their land, and gave it for an inheritance unto the Reubenites, and to the Gadites, and to the half tribe of Manasseh.9Keep therefore the words of this covenant, and do them, that ye may prosper in all that ye do.10Ye stand this day all of you before the LORD your God; your captains of your tribes, your elders, and your officers, with all the men of Israel,11Your little ones, your wives, and thy stranger that is in thy camp, from the hewer of thy wood unto the drawer of thy water:12That thou shouldest enter into covenant with the LORD thy God, and into his oath, which the LORD thy God maketh with thee this day:13That he may establish thee to day for a people unto himself, and that he may be unto thee a God, as he hath said unto thee, and as he hath sworn unto thy fathers, to Abraham, to Isaac, and to Jacob.14Neither with you only do I make this covenant and this oath;15But with him that standeth here with us this day before the LORD our God, and also with him that is not here with us this day:16(For ye know how we have dwelt in the land of Egypt; and how we came through the nations which ye passed by;17And ye have seen their abominations, and their idols, wood and stone, silver and gold, which were among them:)18Lest there should be among you man, or woman, or family, or tribe, whose heart turneth away this day from the LORD our God, to go and serve the gods of these nations; lest there should be among you a root that beareth gall and wormwood;19And it come to pass, when he heareth the words of this curse, that he bless himself in his heart, saying, I shall have peace, though I walk in the imagination of mine heart, to add drunkenness to thirst:20The LORD will not spare him, but then the anger of the LORD and his jealousy shall smoke against that man, and all the curses that are written in this book shall lie upon him, and the LORD shall blot out his name from under heaven.21And the LORD shall separate him unto evil out of all the tribes of Israel, according to all the curses of the covenant that are written in this book of the law:22So that the generation to come of your children that shall rise up after you, and the stranger that shall come from a far land, shall say, when they see the plagues of that land, and the sicknesses which the LORD hath laid upon it;23And that the whole land thereof is brimstone, and salt, and burning, that it is not sown, nor beareth, nor any grass groweth therein, like the overthrow of Sodom, and Gomorrah, Admah, and Zeboim, which the LORD overthrew in his anger, and in his wrath:24Even all nations shall say, Wherefore hath the LORD done thus unto this land? what meaneth the heat of this great anger?25Then men shall say, Because they have forsaken the covenant of the LORD God of their fathers, which he made with them when he brought them forth out of the land of Egypt:26For they went and served other gods, and worshipped them, gods whom they knew not, and whom he had not given unto them:27And the anger of the LORD was kindled against this land, to bring upon it all the curses that are written in this book:28And the LORD rooted them out of their land in anger, and in wrath, and in great indignation, and cast them into another land, as it is this day.29The secret things belong unto the LORD our God: but those things which are revealed belong unto us and to our children for ever, that we may do all the words of this law. 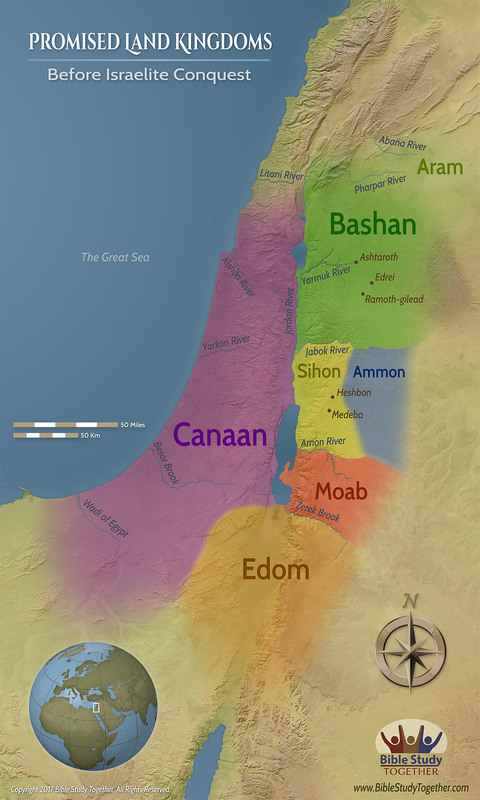 How did God supernaturally provide for the Israelites in the wilderness? Why is it dangerous for people to think they are safe when they are walking in the stubbornness of their own heart? Why does God hide certain things from us and reveal other things to us? Why is it important that God has made a covenant with you? Warn someone about the dangers of serving another God.